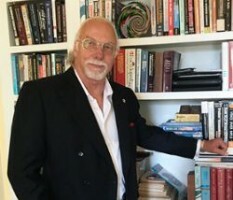 The Context Corporation is headed by Ray Horak who is an internationally recognized telecommunications consultant, lecturer, technical writer, columnist and author with 40+ years' experience in all aspects of telecommunications (voice, data, video, image, facsimile, and multimedia), communications systems and networks. He provides consulting expert and testifying expert services in cases involving the Telephone Consumer Protection Act (TCPA), Automatic Telephone Dialing Systems (ATDS), text messaging and Junk Fax, patent and trademark/service mark infringement, and product/service misrepresentation. The Context Corporation has provided expert services to the telecommunications carrier, manufacturer, service provider, regulator and end user communities in the United States and around the world for 20+ years. Those services include system and network technology research and analysis across the full range of telecommunications domains. Ray Horak provides litigation support services to the legal community as a consulting expert and testifying expert and has experience in cases involving patent infringement, trademark/service mark infringement, product/service misrepresentation and the Telephone Consumer Protection Act (TCPA) with respect to voice, text and fax. He also performs prior art research, background research, and proactive patent analysis. With five technical books, several hundred technical articles and columns, and many hundreds of live keynote speeches, seminars, tutorials, workshops and panel discussions to his credit, Ray Horak's writing and presentation skills are not only exceptional, but also uniquely impressive. He also has performed technical compliance reviews for several telephony systems they and their third party vendors employ in sales, collections, customer service and opinion polling. The objective of those engagements, several of which are ongoing, is to determine the specific nature and capacities (present, potential and theoretical) of the telephony systems (e.g., ATDS and PBX) and subsystems, the systems of record (i.e., databases), Customer Relationship Management (CRM) systems, Receivables Management (RM) systems, and any and all other peripheral systems, both premises- and cloud-based. Mr. Horak, President of The Context Corporation, has served as a consulting expert and testifying expert in cases involving patent infringement, trademark/service mark infringement, product/service misrepresentation, taxes and fees, and the Telephone Consumer Protection Act (TCPA) relative to junk faxes and Automatic Telephone Dialing Systems (ATDSs) with respect to text messaging as well as voice calling. Ray Horak is President of The Context Corporation, which he founded in 1995. Previously he was Vice President of Marketing & Sales for Communications Group Inc. (CGI), a telemanagement software development firm. Previously, Mr. Horak spent seven years with Continental Telephone Company (CONTEL) and various CONTEL subsidiaries, most recently acting as General Manager of CONTEL Executone in Houston, Texas. Prior to this position, he served as Vice President of CONTEL Tenant Services (which he founded), Assistant Vice President of CONTEL's Western Region, and Director of Sales & Marketing for the Rocky Mountain Division. Mr. Horak previously spent nine years in various general management capacities with Southwestern Bell Telephone Company (SWBTC) and served in a strategic planning capacity with the Bell System on a long-term joint project between SWBTC, AT&T and AT&T Bell Labs. Horak has authored "Webster's New World Telecom Dictionary" (2007) for Webster's New World and "Telecommunications and Data Communications Handbook" (2007), for Wiley-Interscience, both of which are critically acclaimed. Previously, he authored three best-selling editions of "Communications Systems and Networks" (1997, 2000, & 2002), published by John Wiley & Sons. He also has served as a Technical Editor for "Deploying Secure 802.11 Wireless Networks with Microsoft Windows," published by Microsoft Press, and is Senior Contributing Editor for the best-selling "Newton's Telecom Dictionary" (12th through 22nd Editions). He is a contributor to numerous leading industry trade publications and has written well over 100 published articles, as well as numerous white papers and case studies. For a number of years he wrote the popular "In the Classroom" column for the Commweb portal, sponsored by CMP Media. He was a member of the Editorial Boards of "The Connectivity Management Handbook," "The Journal of Telecommunications in Higher Education," and "The Prepaid Press." He also served as the Technology Editor for "Telecom Reseller" newspaper. Horak has been a member of the faculties of Computer Education Services Corporation (CESC), Terrapinn (previously AIC) and Network World Technical Seminars. He also was an Adjunct Faculty member of The University of San Francisco (CA), McLaren Graduate School of Business, and served for many years on the School of Business and Management Telecommunications Management Advisory Council of USF's Masagung Graduate School of Management. He also served for many years on the Advisory Committee of the Skagit Valley College (Mount Vernon, WA) Electronics/Telecommunications Technology Program. Horak has spoken before tens of thousands communications professionals through public and private keynote speeches, seminars, tutorials, workshops and panel discussions in Australia, Canada, England, France, Germany, Hong Kong, Korea, Malaysia, The Netherlands, New Zealand, The Philippines, Poland, South Africa, Singapore, Thailand and Turkey, as well as the U.S.
1987-1988: Vice President Marketing & Sales, Communications Group, Inc.
1985-1986: Vice President (Founder), CONTEL Tenant Services, Inc. Client: Solomon, Scott, Croak, et al. Client: Insurance Program Managers Group, L.L.C. Nature of Case: Class Action, Junk Fax provisions of the Telephone Consumer Protection Act (TCPA). In this article, the author explains the basics of the Telephone Consumer Protection Act (TCPA) and illustrates the risks of unsolicited fax solicitations with an example scenario. He briefly discusses preventions and defenses based on his considerable expertise in telecommunications and his experience as a consulting and testifying expert for the defense in TCPA cases. In this article, Ray Horak makes the point that effective communications is all about choosing the right words. The corollary is that ineffective communications is all about choosing the wrong, or perhaps intentionally vague, words. That's where interpretation comes into play, and that's where technical experts and even lexicographers get involved. Horak shares some interesting examples of his litigation support experience defining words...sometimes again and again.